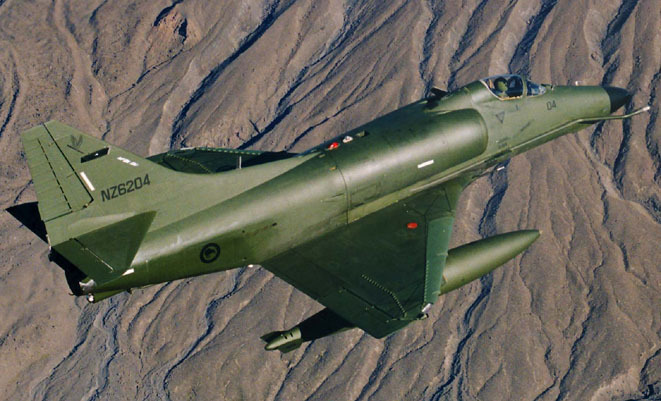 Contract air services provider Draken International is buying eight ex RNZAF McDonnell Douglas A-4K Skyhawks and various other equipment and accessories from the NZ government. Draken will use the aircraft to support US Department of Defense training activities, providing realistic training and threat simulation. The contract with NZ includes over 20 spare engines and an extensive inventory of spares, publications, life support equipment and avionics. Also included are two flight simulators for cockpit procedural training and nav/attack system familiarisation.